Tanzania’s hardly been out of the headlines since quietly slipping in an application earlier this month to reduce international protection for its elephant populations and auction off 101 tonnes of stockpiled ivory. EIA was quick off the mark to condemn the country’s proposals to the Convention on International Trade in Endangered Species of Wild Fauna and Flora (CITES). Branding the move as ‘ludicrous’ in the context of a rising tide of elephant slaughter and at a time when CITES’s own ivory trading system is increasingly being called into question as a major driver of poaching and the illegal international trade in ivory, we sought to focus attention on the application in advance of its discussion at the next major CITES meeting in Bangkok, in March 2013. What’s been fascinating – and quietly astounding – to observe since our press release went out on October 9 has been the consistent inconsistency of Tanzanian officialdom when discussing the issue. Tanzania first applied to CITES for a sale in 2007, although withdrew the proposal following information provided by EIA in private briefings. It applied again in March 2010, wanting to downlist its elephant population from CITES Appendix 1 to the lesser protection of Appendix 2 and to sell 90 tonnes of stockpiled ivory. At that time it claimed justification for the move by asserting that its elephant population was “secure”. EIA’s investigators went undercover in Tanzania in January and February of that year to see for ourselves what was really happening on the ground. Far from finding a “secure” elephant population, we returned with evidence demonstrating a flourishing trade in illegal ivory at both domestic and international levels, worsened by poor enforcement and facilitated by official corruption. Our subsequent report Open Season was a key factor in securing the proposal’s defeat. Now Tanzania’s back with yet another proposal for downlisting; if approved, it intends to seek trade in elephant hides including feet, ears and tails, trade in live elephants and, of course, the sale of raw ivory (whole tusks and pieces). Bizarrely, its justification this time around appears to be the precise opposite of having a secure elephant population. Interviewed in Tanzania’s The Citizen newspaper on October 11, Natural Resources and Tourism Deputy Minister Lazaro Nyalandu pledged that the $55.5+ million his Government anticipates raising from the auctioned ivory would be spent on anti-poaching operations. Why, if the elephant population is secure? His admission of the scale of poaching chimes with a statement in August by James Lembeli, Chairman of the Parliamentary Committee on Land, Natural Resources and Environment, to the Tanzanian Parliament in which he said the country presently loses approximately 10,000 elephants a year to poaching – more than 27 a day. It’s a significant shift in tactics, to appeal for permission to downlist elephants and sell the ivory stockpile not because domestic populations are secure but because they are evidently far from secure in the face of rampant poaching. At least Nyalandu and Lembeli shared a consistent position. And then there was a seizure of illegal ivory in Hong Kong, setting a local record of 3.81 tonnes of ivory which was hidden in shipments from Tanzania and Kenya. 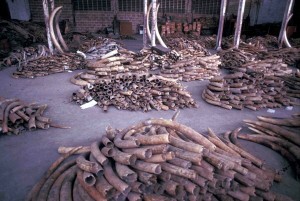 The haul on October 20 comprised 1,209 pieces of raw ivory tusks and a small number of ivory ornaments – in total worth about £3.4million; it was discovered in two containers marked “plastic scrap” and “roscoco beans”, and is said to have originated roughly 50/50 from each source country. Yet just two days later, on October 22, and without possibly having had time to conduct any sort of credible investigation of their own, Tanzanian officials attempted to disown the tusks seized in Hong Kong. Paul Sarakikya, Wildlife Officer in the Ministry of Natural Resources and Tourism, insisted such a consignment could not have come from his country and claimed that, in most cases, Dar es Salaam port could have simply served as a gateway for ivory smuggled from other countries. How could he be so sure none of the ivory seized had actually originated in Tanzania? This smacks more of a hopelessly optimistic attempt to spin the story, perhaps in the face of internal concerns about how the seizure of such a huge shipment of ivory from Tanzania might play in the international community prior to CITES in March. Sarakikya’s inconsistency with the earlier statements is at least consistent with a first-hand account of elephant poaching posted only the day before the Hong Kong seizure on the website of journalist Bryan Christy, author of the recent National Geographic investigative report Blood Ivory. 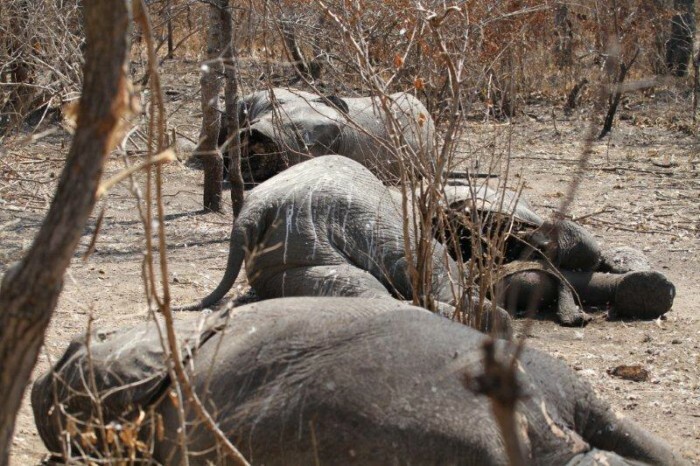 In it, hunter Paul Lavender gives a moving account of the slaughter by poachers armed with automatic weapons of a family group of 11 elephants – including mothers, babies and immature males – in Rungwa, Tanzania. Distressed by the incident and concerned at the authorities’ inability to catch the culprits, Lavender was even less impressed when subsequently visited by the ‘senior area game commissioner’. Either Tanzania does not know what is occurring within its own borders, or it does not wish the outside world to know. 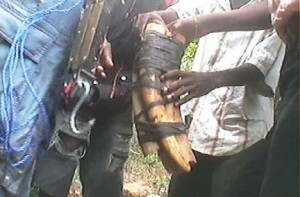 Whichever is the case, its actions alone must raise a huge question mark over its ivory application to CITES.